Unlike Oculus, which charges a fee for each Rift devkit, the Vive will be completely free for qualified developers. 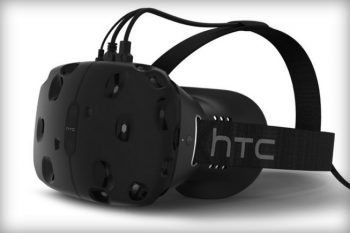 Developers looking to get their hands on a devkit for Valve's recently revealed Vive VR headset will be pleased to learn that Valve will be providing the devices absolutely free of charge to whoever passes its qualification standards. So far, Valve and HTC have offered kits to a handful of specially chosen developers, including Owlchemy Labs (Aaaaaa! For The Awesome), Bossa Studios (Surgeon Simulator, I Am Bread), Fireproof Games (The Room), and Cloudhead Games (The Gallery). Valve's Doug Lombardi told Ars Technica that a sign-up page for aspiring devs would be coming over the next week, allowing all devs to submit themselves to Valve's qualification process. Approved developers will get a Developer Edition kit pf the Vive that "will be free, at least initially," Lombardi said. Those kits will start shipping later in the spring as part of an "ongoing effort" to get the development hardware out widely ahead of the headset's planned 2015 consumer launch. For comparison, Oculus is currently asking devs to fork over $350 for the latest version of its Rift devkit. Valve's scheme comes with its own set of pluses and minuses compared to how Oculus is doing things. For example, offering the devkit as a paid product means that both members of the public and the press can easily get their hands on it, but offering it for free to approved developers means that devs will have more of an incentive to program games for the device. Either way, it won't be long before we see the Vive in action for ourselves.